It can be hard to keep calories in line this time of year. Between the office party and endless events with family and friends, the temptation is continuous and difficult to resist. 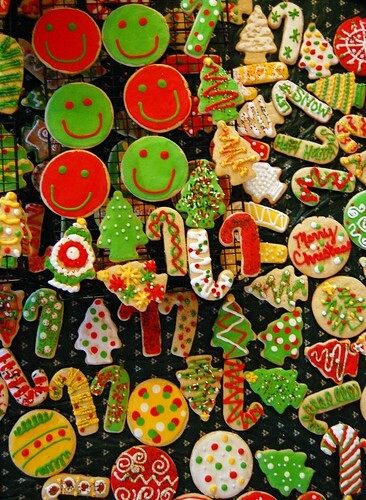 Giving in on a regular basis to holiday delicacies can add an extra 500 calories or more to your day at every turn. When enough caloric surpluses strung together, it can quickly add up to excess unwanted pounds. Luckily, there is a predictable formula to help us regulate calories to control weight through the holiday season. It can be calculated in either direction, allowing us to make plans in advance for accommodating “extras”. Balancing our calories can be compared to balancing a checking account-we can borrow, spend or save with what’s in our account. Keep in mind that 3500 calories is to equal one pound. To keep our current weight, (or account) balanced, the intake and output needs to stay even. We can expect to gain a pound by adding that amount as a surplus to the current balance. Utilized in reverse, losing a pound requires a regular withdrawal of enough calories over time to equal the 3500-calorie deficit (such as 500 daily). Unlike money however, more is not always better in this scenario. To create the deficit or stay neutral, there are options beyond restricting calories that can be exercised, literally. Exercise gives us an opportunity to “spend” excess calories, utilizing them as fuel for activity and putting us in the red. The longer and more intense the exercise, the more we can burn during that session to create a deficit. For example, “spenders” can reach the required 500-calorie deficit by burning 250 of them (or more) through physical activity. The more we burn, the less we need to restrict and vice versa. Making a less caloric heavy choice, such as a calorie controlled meal from Gourmet Everyday, is a delicious way to cut calories and stay on track. As you can see by the label, just one healthier meal a day has the ability to remove hundreds of calories a day. Each time we face food we have this opportunity to make a choice to affect the balance in our account. The formula can be worked many ways, depending on the interests and goals of the individual. Adding exercise creates benefits that reach far beyond calorie utilization, it is also a critical component for keeping a body healthy. Setting up the formula to include a combination of reducing calories and regular exercise allows us to proactively prevent unwanted weight gain. This year, calculate this formula to create a plan of moderation. It’s the perfect way to proactively keep your body (and account) balanced enough to ring in a happy and healthy New Year!